Uttar Pradesh Subordinate Services Selection Board (UPSSSC) had conducted conductor recruitment and many others. This written exam had been organized in various districts centres of Uttar Pradesh. It was held for finding eligible candidates for these posts. Many number of candidates have applied for these exam. 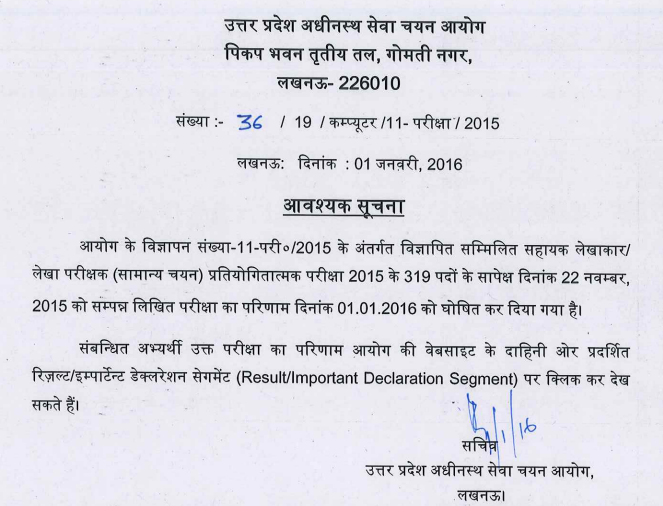 Now UPSSSC had declared the final result of Conductor posts. Appeared aspirants can check UPSSSC Exam result 2016 from below given direct link. UPSSSC had declared the final result / selection list on 13.06.2016 for Conductor posts. You can check UPSSSC Conductor Final result from the link provided here. UPSSSC had invited applications for 1690 Conductor posts as per Advt 06/2014-15 for which the written test was held on 09 August 2015. Total 6711 candidates have been shortlisted for interview of Parichalak posts. You can checkUPSSSC Conductor Exam result from the link provided here. 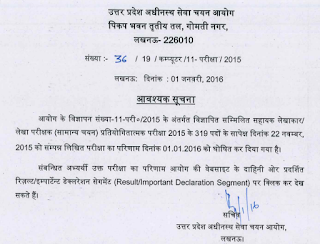 Written Result date: 26 November 2015. The written exam was conducted successfully and now the process of preparation of results had been completed. They have been uploaded on the official website upsssc.gov.in. Appeared candidates, can check UPSSSC result of Conductor exam from the above given link. Now qualified aspirants will have to appear for interview / viva voce which will carry 35 marks. Also Preferential qualifications carry 10 marks. Final Merit will be based on performance in written exam and interview. The written test was of multiple choice objective type having 300 marks. Time given was 2 hours (120 minutes). 2. Click on the link for conductor result given on right side of website. 3. Visit the result webpage. 4. There you need to enter your registration number, date of birth, gender and verification code and click on see result. Through this way, you can check your result of UPSSSC Conductor Exam.